Pythagoras was an early Greek philosopher and ascetic who made vegetarianism one of the central tenets of his ‘school’. His ideas were influential for centuries as the became adopted by Neoplatonists and Christian sects (and later, monks) alike. Socrates was possibly a vegetarian, saying in Republic that if meat-eating was allowed in the ideal society, there would be more need for doctors. Ovid in the Metamorphoses stated that human and animal lives are so entwined that to kill an animal is virtually the same thing as to kill a human (ancient precursor to Peter Singer’s modern ethical stance: see below). Leonardo da Vinci, Lev Tolstoy, and Albert Einstein were vegetarians, with the last saying that, “Nothing will benefit human health and increase the chances for survival of life on Earth as much as the evolution to a vegetarian diet.” While such august examples are interesting, they do not lend any actual evidence to the question at hand. Now we are dealing with something more important. Any individual who chooses to eat meat can do so by his own free will, despite any known personal health effects. When it comes to the environment, there is much more at stake than the decision of any single individual. And when there are 7 Billion people on the planet, the effects caused by dietary habits such as meat-eating can readily be seen to be unsustainable at best, cumulatively disastrous at worst. If there were only as many people on the planet now as there were even 200 years ago, with vast unexplored forests, plains, and jungles all intact, this would probably not be an issue. But the population explosion has created a monstrous system of producing factory-farmed meat on a huge industrial scale. It is ridiculously bad for the animals (obviously), for the planet, and, accordingly, for humans as well. According to a United Nations initiative, the livestock industry is one of the largest worldwide contributors to environmental degradation, and modern practices of raising animals for food contribute on a massive scale to air and water pollution, land degradation, climate change, and loss of biodiversity. Animal farming (especially bovine) produces a huge increase of greenhouse gases, including methane and nitrous oxide, which have, respectively, 21 and 296 times more Global Warming Potential than carbon dioxide. There are somewhere around 70 Billion animals raised in the world each year for the sole reason of providing a source of meat for human consumption. 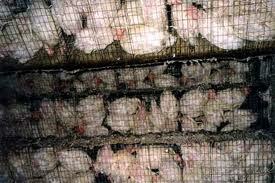 These animals consume an ungodly amount of grains that could otherwise feed Billions of humans. 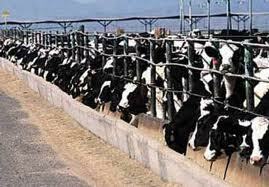 In the US alone, animals consume 90% of the soy crop, 80% of the corn crop, and 70% of the grains. This requires half of the water supply, and 80% of the agricultural land of the United States. If there was an unlimited amount of fresh water available to every human and animal on earth, this might not be as much as a problem. Similarly, if there was no starvation on this planet, maybe these numbers wouldn’t be quite so shocking (though I’m still not sure). It requires 10 times as many crops to feed animals being raised solely to provide humans with meat than it does to feed the same number of people on a vegetarian diet. Even if we callously ignore the horrible condition of animals on factory farms and the disgusting nature of that mega-industry, the havoc wreaked on the environment by such practices should still be enough to make any thinking person think twice before downing another cheeseburger. There is much literature on this subject for the interested reader (or would-be convert), including the recent exposé of factory farms and commercial fisheries by Jonathan Safran Foer, Eating Animals. Most likely, anyone who is not convinced by the first two reasons will most likely feel no compulsion to see the reason in this third, slightly different perspective. That is a shame because it is, in my opinion, the strongest and most logically consistent argument. It is possible (if extremely hypothetical) to imagine a scenario in which the issues from the first two points were untrue: there were no added health benefits derived from the vegetarian diet, and there was no harm whatsoever done to environment because of the enormously damaging effects of the livestock industry. Even if that were true, the fact would still remain that humans eat animals only by choice-only because they like the taste of meat. OK, I know I am discounting the exceptions for the small percentage of people with anemia (who could still get iron from other sources), as well as remaining hunter-gatherer tribes in New Guinea, the Amazon, etc. Unfortunately, such exceptions are quite rare, and do little to disprove the reality of the current state of human meat consumption. 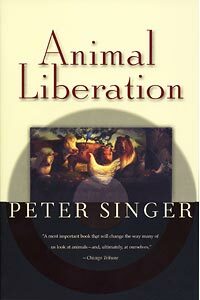 Peter Singer, a prominent Australian philosopher and theorist of practical utilitarian ethics, wrote a book in 1975 entitled Animal Liberation. He is considered the father of the animal rights movement. One concept he describes is “speciesism”, which is discrimination of one species (Homo Sapiens) against another (every non-human animal). We are all, in fact, animals, and there is no logically consistent way in which we should consider ourselves better than other animals. It is true that we are the most intelligent beings on the planet (and, so far, in the universe), and this has allowed us to finally establish and maintain dominance and control over every aspect of the planet’s life and resources, including all plants and animals. He argues that the ethical criterion should not be based on intelligence, however, but on capacity for suffering. There is no reason to believe that animals, especially higher mammals of the type that are raised and slaughtered for meat, do not feel the same level of pain and suffering that a human does. Cows have been shown to make lifelong friends, elephants are seen to mourn deceased relatives, all the great apes have social habits and even a certain morality that is not so different from humans (there are examples like this to be found in virtually every species). In this regard, there is no way to justify the immense suffering and anguish that is endured by billions of non-human animals each year only in order to feed human tastes. A cynic could point to supposed flaws in this argument, or even disagree outright that animals deserve the same justice as humans, who some people feel to be inherently morally superior to every other life form. I do not subscribe to these views. To be logically consistent, we must also admit that any animal that can be killed and eaten in a humane and painless way would not fall under the ethical prescriptions of Singer’s view. But I think we can also see that the number of animals who qualify for this exception is so vanishingly small as to not really affect the issue in any way. The only question is: Do you like the taste of meat so much to disregard personal health, the precarious environmental balance of the planet, and the unabated suffering of myriads of sentient fellow animals? If you are a vegetarian looking for more ways to make your case and rhetorically defend yourself against interested interlocutors, this article has some great points as well.